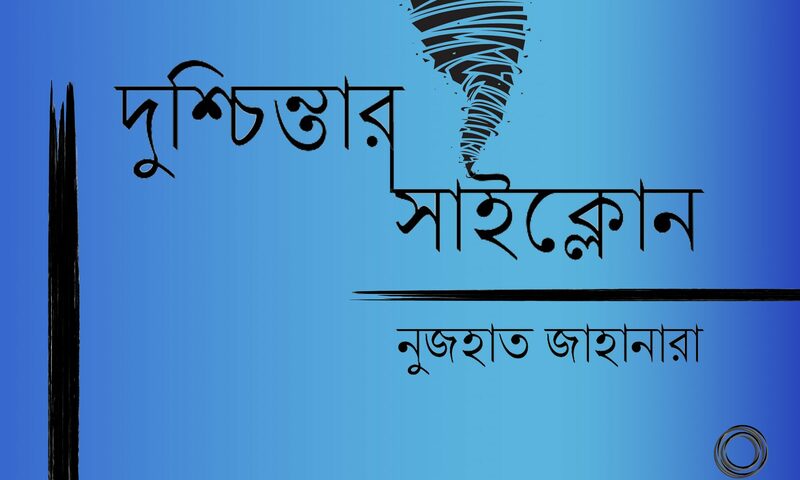 একটু ভেবে দেখুন তো আপনার সাথেও কি এরকমটা হয়? কিভাবে অতীত ও বর্তমানের হাজারো চিন্তা থেকে মনকে সড়িয়ে বর্তমানে ধরে রাখা যায়? কেন আপনি মাইন্ডফুলনেস প্র্যাকটিস করবেন? ‘দোস্ত, কিছুই ভাল্লাগেনা, আমি অনেক ডিপ্রেসড!’ বর্তমান সময়ে প্রায় মানুষের মুখেই এই কথাটা শোনা যায়। কিন্তু আসলেই কি সবাই ডিপ্রেশনের শিকার? মন খারাপ ও ডিপ্রেশন কেন হয়? কম্পিউটার ইঞ্জিনিয়ার ফয়সাল। ছোট একটি কোম্পানীতে চাকরি করছে সে। তবে তার লক্ষ্য আরো বড়। সে নিজের একটি ফার্ম খুলে সেটি নিয়ে কাজ করতে আগ্রহী। এই বিষয়ে তার চিন্তার শেষ নেই। তবে ফয়সাল সবসময়ই তার জীবনের সবকিছুকে নিয়ে অধিক পরিমাণে চিন্তা করে। তার পরিবার, তার সোশ্যাল লাইফ, তার গার্লফ্রেন্ড, তার কাজ এবং সেটির ভবিষ্যৎ, নিজের অর্থনৈতিক অবস্থা আরো কত কী! তার ফ্যামিলিকে সময় দিতে পারছে কি না? গার্লফ্রেন্ডের বিয়ে হয়ে যাচ্ছে কি না? 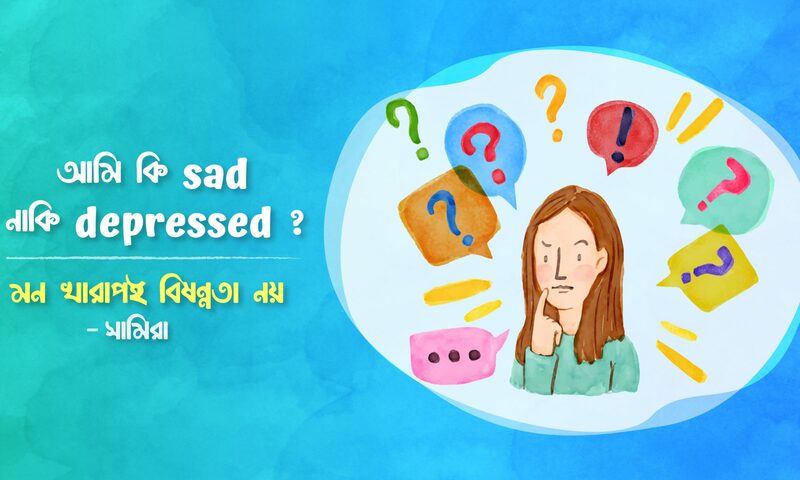 বন্ধুরা তাকে নিয়ে কী ভাবছে? 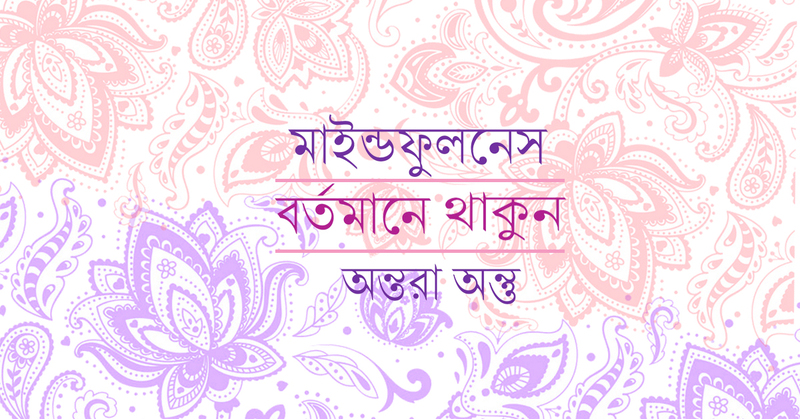 তার বস এবং ক্লায়েন্টরা তার কাজে সন্তুষ্ট কি না? তবে ইদানীং তার এই চিন্তাগুলো অতিরিক্ত পরিমাণে বেড়ে যাচ্ছে। তার শুধু মনে হচ্ছে খুব খারাপ কিছু একটা হতে যাচ্ছে। হয়তো তার কোম্পানী তাকে বরখাস্ত করবে, হয়তো তার ক্যান্সার বা হার্টের কোনো রোগ হয়ে যাবে, বাবা-মার স্বাস্থ্যও ইদানীং ভেঙে পড়ছে, বন্ধুদের সাথে আড্ডা তো একদমই হচ্ছেনা, গার্লফ্রেন্ডের সাথে ঠিকমত কথা হচ্ছে না। সব কিছু ঠিকঠাক থাকবে তো? নাহ, কিচ্ছু ভালো লাগছেনা! নিশ্চয় খারাপ কিছু ঘটবে, এই হয়তো দুঃসংবাদটা আসলো। চিন্তায় আর ভালো লাগছেনা, খাওয়া ঘুম সব হারাম হয়ে যাচ্ছে। নাহ, আর পারছেনা! Aninda always tried to make a routine for his daily works but couldn’t follow it for once in life. He was frustrated than ever. He wanted to get out of this but it was hard. No one was there to console; his heart was suffering from heavier things. He doesn’t know how he attended his SSC and had passed. He was used to being stuck. Being stuck in his home where he felt inappropriate, or that made him suffer from anxiety, being stuck with people that he wanted to love but couldn’t, being stuck doing a job he couldn’t stand. He was admitted to a remote college in his village. Depression stayed there at its place covering his soul from inside. He was constantly feeling a sadness resonating every where he went. As if it haunted him like he was supposed to live within it. He spent most of his time sitting barely and having conversations with his ‘self’. Aninda still reminds how intense his pain was; how strong his feeling was and how fierce he used to be sometimes that he didn’t even bother doing self harms. He had a twisted mind that brought him to a no man’s land. He felt like he was the only person he knows but he is bringing his lifeless soul into deep trance. He constantly craved for something he didn’t know. He would be happy if he could have forgotten this part of his life. But then, situations continued going wrong. Every pieces of his soul faded through his existence and never would it go back to the way it was before. Aninda was too young to tolerate all this pain. He hardly talked to people. His only friends were books but he didn’t know what he actually read. He was just longing for a perfect time when he would be mature enough to accept that he didn’t do any mistake or any flaw but had to suffer from the consequences. But the truth is, life wasn’t perfect and the time wasn’t on his side. And fate had already made its decision; Aninda can’t live a normal life. It’s hard for him at first. Dealing with the life with too much suffering. But he could never return to what he was before. 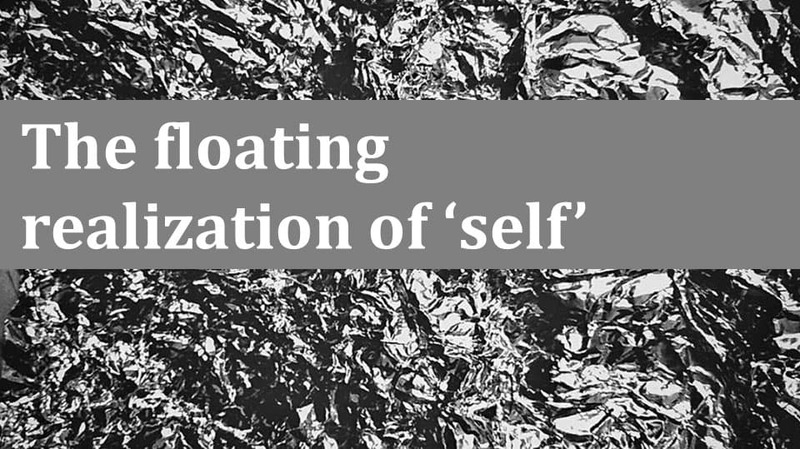 It was hard to explain the torment of a floating realization of ‘self’. Aninda’s thought process was completely different from regular people. When someone talked to him he couldn’t feel that he was listening but it made some sense to him that someone is talking. No language in this world could explain his feelings. Aninda kept fighting with this. But it made him tired. He was growing thin and sick. No one around him understood that he had been suffering a serious mental illness. Eventually, Aninda passed his Higher Secondary. He decided to come to Dhaka for admission coaching. He tried to have some dreams about life. But it was hard not having a normal life but pretending to have. Aninda and two of his friends took residence in a flat in Dhaka. But he was continuously bullied by his friends. They didn’t talk to him properly and ignored him as much as they could. He was weak physically and psychologically and everyone took the privilege of this. His friends didn’t inform him of the dates of exams. They had internet connections on their phone. But Aninda couldn’t afford. Imagine yourself in an alien city where not a single person cares about you. You just keep yourself in a room and get busy with thinking without knowing what you’re thinking. It was an intolerable life. Aninda’s result was not good. In fact it was not supposed to be. He tried for almost every public university in Dhaka but he wasn’t able to make a place. He returned to his home in Khulna being frustrated than ever. His room, his bed and a constant darkness had been waiting for him. He embraced them again. Aninda’s social acceptance reached to null. He is sick, unqualified and just a disgrace to his family. Aninda didn’t deserve this life. Was he the only who is liable to his condition? He always wanted to develop. He decided to try for the second time for admissions. He was in Dhaka again. This time he had a mobile phone in his hand with internet package. Aninda searched for various things on the internet. One day, he found something that he couldn’t believe. He is not alone. The illness he is suffering has a name and specific symptoms. Many people around the world are suffering from Border Line Personality Disorder. Aninda in his second time also failed for public universities but one thing he did which had changed his life. He decided to meet the counseling psychologists in Dhaka University. This is the first time in his life someone said that it’s okay. This is a problem and he can get out of this. He found some hope. Then he tried ‘group therapy’ but it was really hard for him of getting out. This illness was his habit of a lifetime. He took medicine and clinical therapy. He believes that he is continuously developing for his self-motivation (atto prochesta). Also he is grateful to his psychologists. He was taking therapy from a clinical psychologist in National Mental Health hospital. I made a contact with him for an interview and he agreed. And that’s why we are here in TSC. He has been trying to find out himself and this search will be continued. All he wants is to reconnect his soul with his body and to make a habit of rational and regular algorithm of thinking. I never expected I would hear such a story from Aninda. At some stages of this interview, I had a feeling that these patients of Border Line Personality disorder have more clear idea about human conscience than normal people. But still he has lack of confidence. People might bully him or ignore him. No one will try to understand his struggle. How sad it was. Aninda now studies in a private university in Dhaka. We will not tell the name of the institution. And you should have already understood that Aninda is not also his real name. Join Border Line Personality Disorder Group. 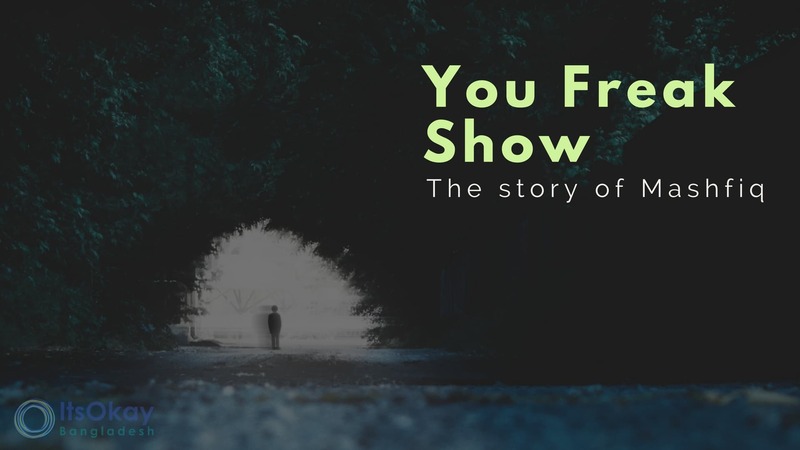 In our quest for bringing real life stories happening in real life, we had the opportunity and the disdain of going through both sides of the coin. From searching and locating people to going through several interviews, to constant outcry of tears and curses to begging for the interviewees to stay finally we are here publishing this writing. In today’s limelight, we have Mashfiq (pseudo), a student of Brac University studying at his final years in the engineering department. A guy belonging to amiddle-class family originating from Munshiganj who lives with his family and three other siblings in the suburbs of Puran Dhaka. In his school life, he was a timid young man with a neck for books. “Papa would bring chocolates, toys and even clothing for my siblings and I disgusted those gifts. As soon as he had brought out a freshly wrapped, paper book of Harry Potter’s, Half Blood Prince, I would run downstairs, locked my doors and immerse into the magical world of witchcraft”, his face lit with ecstasy. As it turns out, his will of being a farmer and a writer was soon overturned as his parents wanted him to become an engineer that too in one of thefinest engineering echelon of Bangladesh, BUET. “I wanted to try and make my parents happy but the expectation barrier was set due to my previous accomplishments however my parents didn’t know until then that just like everyone else, I cannot have everything”. It was during this tenure, he sought university counselor’s assistance and came to know about Bi-Polar Disorder. 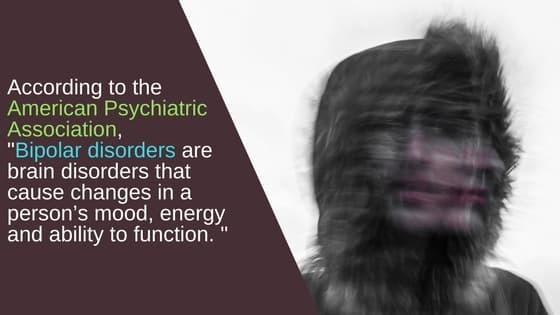 According to the American Psychiatric Association, Bipolar disorders are brain disorders that cause changes in a person’s mood, energy and ability to function. Bipolar disorder is a category that includes three different conditions — bipolar I, bipolar II and cyclothymic disorder. It is said that people with bipolar disorders have intense mood balance at any given time, commonly known as mood episodes. These mood episodes are categorized as manic, hypomanic or depressive. People with bipolar disorders generally have periods of normal mood as well. Bipolar disorders can be treated, and people with these illnesses can lead full and productive lives. Furthermore, when he was referred to a professional psychiatrist who later declared that Mashfiq was suffering from Bi-Polar I disorder.Bipolar I disorder can cause dramatic mood swings. During a manic episode, people with bipolar I disorder may feel high and on top of the world, or uncomfortably irritable and “revved up.“During a depressive episode, they may feel sad and hopeless. There are often periods of normal moods in between these episodes. Bipolar I disorder is diagnosed when a person has a manic episode. Now Mashfiq is trying to recover and is settling down although he turned us down twice for which he finally said “When you are physically hurt, you visit the doctor, why can’t the same be done when you are hurt mentally. Kudos to you guys for highlighting and encouraging empathy towards mental health.” Before I could thank him, he lit a cigarette, smiled, called a rickshaw and left. P.S. We were standing there for few minutes hoping he might change his mind again and come back but it never occurred as we called him to confirm and he said “It’s all I had to share, Goodnight!”. It was almost dark. I had been waiting for someone for the last one hour. Life in TSC area has always been colorful and bustling but sometimes it can’t hold you. I was feeling a bit keyed inside. Am I ready for a deep conversation? Would I like someone talking about the worst moments of his life? May be I will. I have interviewed a lot of people in my life and have worked with those stories. But I know, this time it’s different.A subtle wind was blowing. I was thinking that will I be able to handle a storm? Aninda came at last. I looked at his eyes. They were indecisive as I expected. But I was able to convince him because I was preparing. This is for the first time in my life I was talking to someone who is struggling with severe mental illness. Aninda, my first interviewee for ‘ItsOkay’, has been suffering from Border Line Personality disorder. Aninda was suffering from this complexity may be from his childhood. He grew up with bitter memories. Memories, those he didn’t deserve. Each of us has fears in our life. 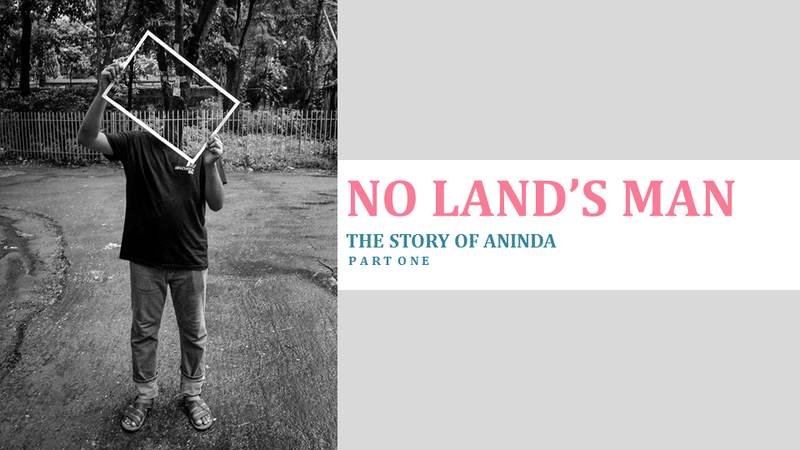 For Aninda, it was his life itself. He has come from a badly off family and in addition, his parents didn’t have a good relationship. They had already stoppedappreciating every moment of their togetherness. His Paternal uncles behavedwith their family in such a way that their whole existence was a mistake. All his childhood was full of emotional abuse. His mother used to be possessive about him in a wrong way.Aninda felt suffocated. Problem started to intensify when shestarted to beat him for even for simplest reasons. Anindacried awfully but didn’t find anyone to seek help. He felt himself alone and abandoned. He suffered from extreme confusions about everything from his early age. He seemed almost to be born that way. He always stepped three times on the road when he started to walk. He used to look back again and again when riding on a cycle. Is there anything on his back? Now he knows that these all were symptoms of Obsessive Compulsive Disorder. But he didn’t know thathe was growing inside an illness which is much more complex than this. Aninda met his best friend Rakib in his school. Everything was okay from the other side. But Aninda was over concerned about his friend. ‘Did you mind what I said to you, my friend? Did I do anything wrong?’Aninda didn’t like Rakib to mix with other boys. He felt like he was not capable of surviving without his friend. He was going through extreme emotional dependency. This improper possessiveness contributed in his ever growing anxiety.Aninda’s reactions and behavior got highly impulsive. He wanted to love his friend, but his love opened himself to a great suffering that he didn’t want. Aninda also started to fall for a girl of his age when he was in class three. He didn’t know how to explain this but he really liked her. And then he created a picture of that girl in his brain and all the time he was remembering that face. He was taking her wherever he went and whatever he was doing. He was losing his mind. He didn’t know what he was actuallythinking. When people talked to him, he could hardly pay any attention. It was not intentional. This was the time he started distracting from himself. Aninda started to think from something very simple. Then he linked it with other thing and other thing and invited fellas: anxiety, unhappiness, weakness and regret. It was complicated. More complicated than anyone can think. He started his day with thinking and passed the whole day with it. The girl of his childhood was lost one day. He could never forget anyone, but maybe he released thinking about her. Or his thinking released him. But she came back again when Aninda was in class 9. Actually he was confused. It might be mere his imagination. He again started to think about that girl.Aninda couldn’t stop allowing his thought to harm his life permanently. And his thinking was never ending. It was a vicious cycle over which he had no control. This was not Aninda’s conscious thinking. He had already lost control over himself. He had a thought process but he couldn’t find himself in that. He was separated from himself. In fact he got confused about the idea of ‘self ’. 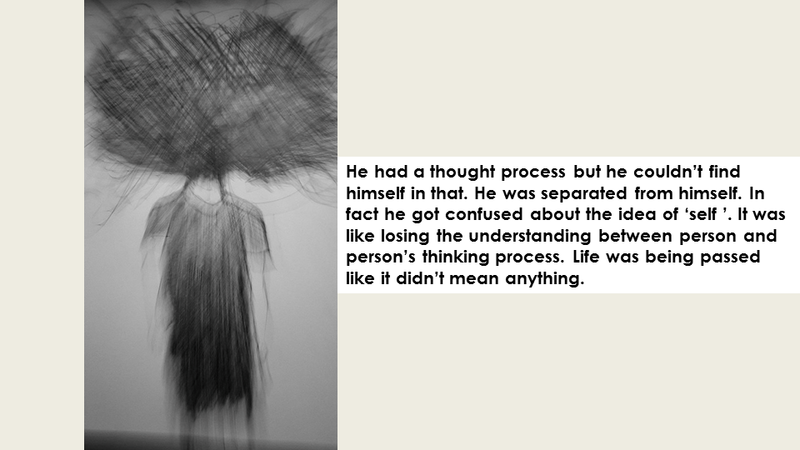 It was like losing the understanding between person and person’s thinking process. Life was being passed like it didn’t mean anything. Aninda’s mother also didn’t change. But this time Aninda was also grown up and had a reflex. He also started to beat his mother. I was stuck in this part of the story. Could I really feelthis incident? Putting yourself in someone’s story is empathy. Do I have enough of this to hold his pain? 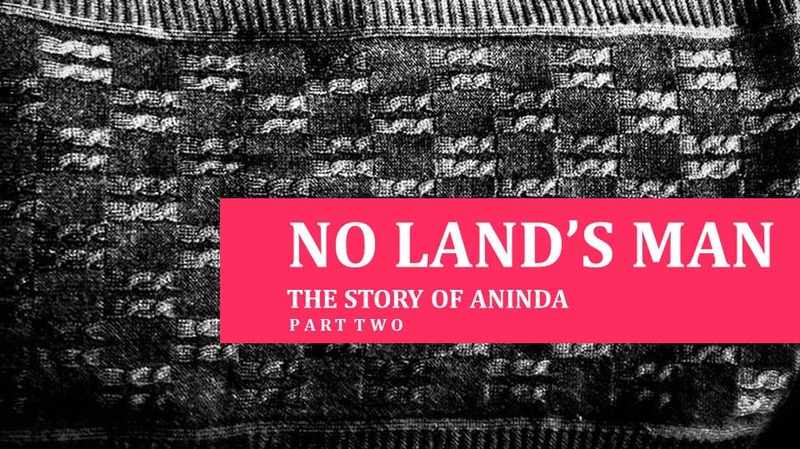 Aninda’s whole life was a curse. He was going deep down and down in sadness. He used to lie on his bed the whole day. From morning till dark. It was an unbearable loneliness of not finding yourself. Aninda tried to concentrate on books. In childhood he was punished for his studies by his mom in most cases. Sometimes he had extreme motivation. He felt like he was so energetic and would make everything possible for a good result. He thought that he will be richer and more powerful than everyone. In that time he made all his plans, but soon he returned back to his depression phase. Later in his life he realized that these all were symptoms of Bipolar Disorder. Actually Border Line Personality Disorder is a complex combination of almost every kind of mental illness. After getting seriously astonished by this story, I also made contact with Aninda’s psychologist for details. But before that let’s focus on what happened next. We will see it in the next part of the story.